ISLAMABAD, Oct 20 (APP):The spokesperson of the government on economy and energy issues Dr Farrukh Saleem has said that Prime Minister Imran Khan’ s visit to Saudi Arabia was a positive step in the right direction and it would be highly beneficial for our national and economic interests. Talking to a private news channel, he said, PM will visit Riyadh on October 23 on the special invitation of Saudi King Salman to participate in the three-day ‘Future Investment Initiative’ conference . 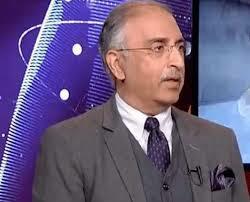 Farrukh said, Pakistan needed the support of sincere and true friends in the existing economic crises. Pakistan’s current economic situation, especially depleting foreign exchange reserves, required immediate financial assistance, he added. He stressed that the PM’s visit would be very productive and in the best interest of the country and no one should make an issue out of it as Pakistan desired peaceful ties with all its neighboring countries however, these ties must be based on mutual respect and equality. However, the PTI government was doing its best to avoid going to the International Monetary Fund (IMF) and instead reaching out to Saudi Arabia, China and other Gulf countries to shore up its forex reserves. The Spokesperson said that Pakistan enjoyed a special status in the Muslim world and it was pleasing that Saudi Arabia would further develop its relationship with it during the tenure of the new Pakistani government.